Please mention initials in "notes to seller" during checkout. If you have purchases multiple bangles, please mention which bangle you would like your charms attached to. And please mention if you would like the charm attached to the bangle band-- or other location such as dangling from a leaf, or dangling from inside an infinity loop, etc. 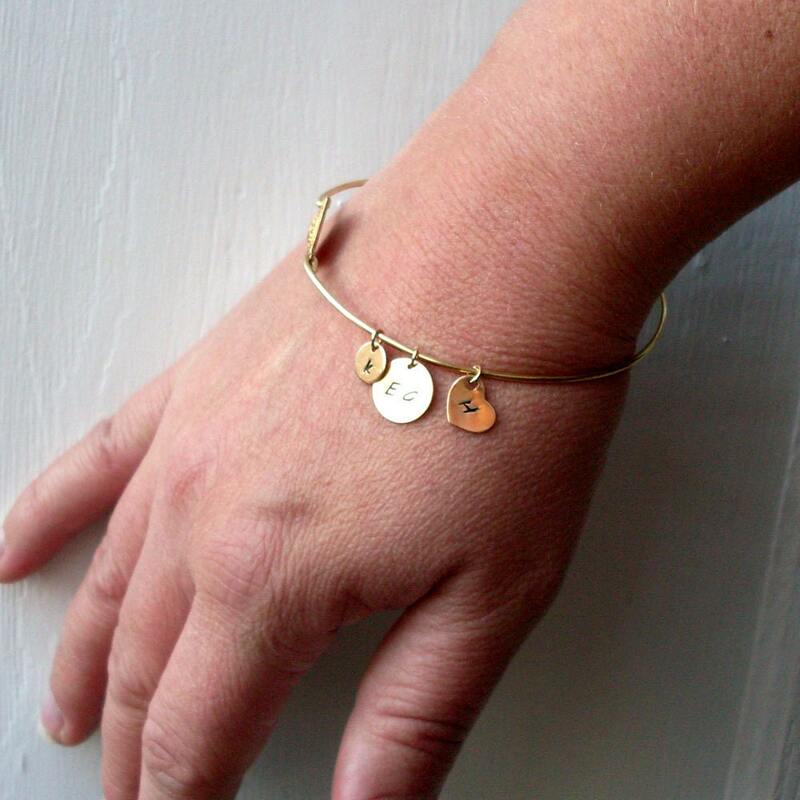 This gold filled or sterling silver circle initial charm is hand stamped with your choice of 1-3 initials and is the perfect way to personalize your bangle bracelet. 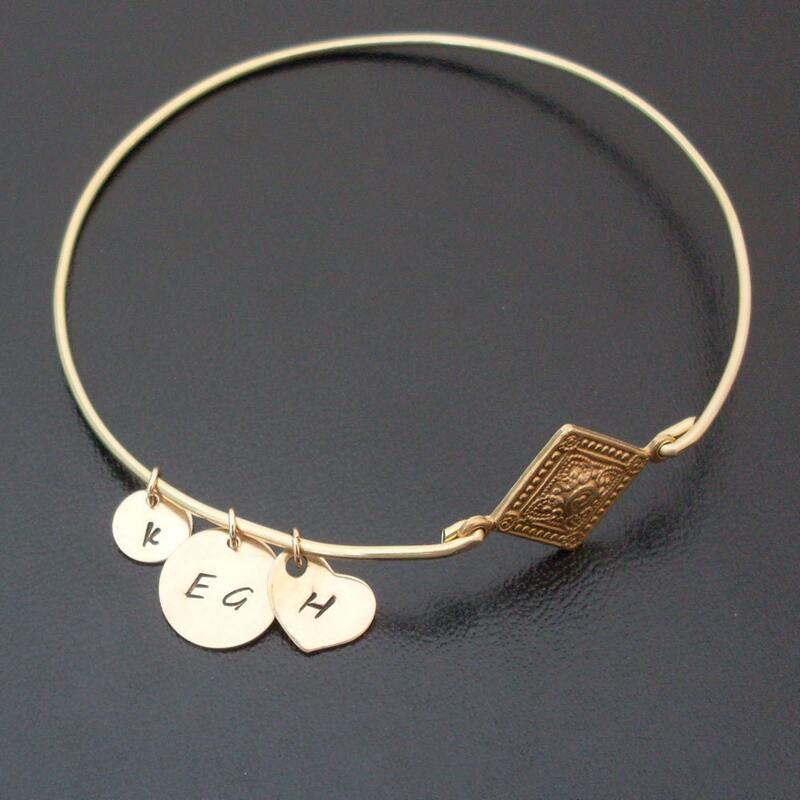 These little charms jingle around freely on the band of your bangle and add a very personal touch. I can add up to 3 letters or 2 letters with an & or +. 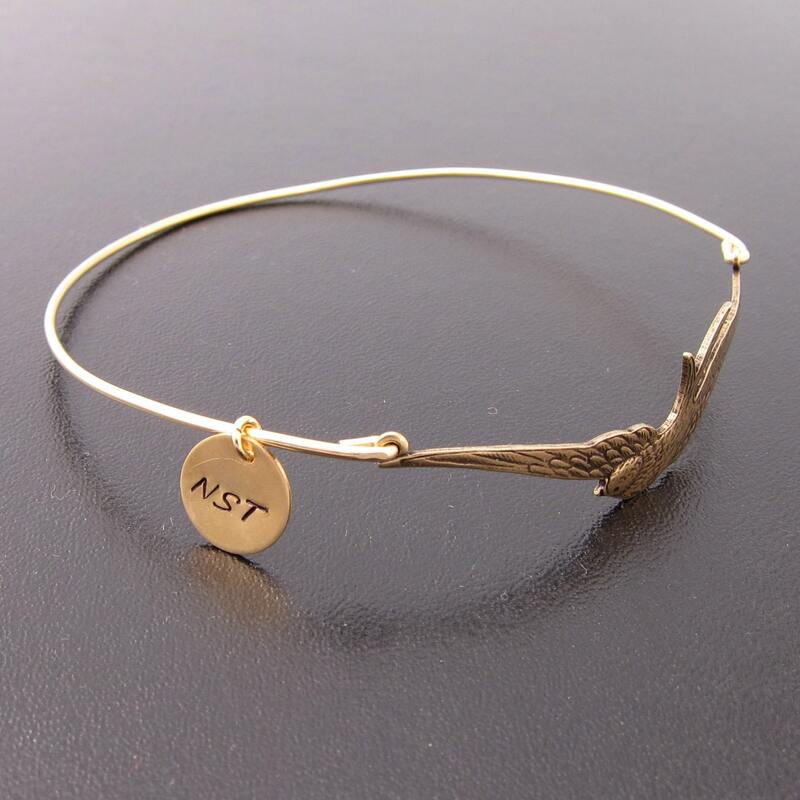 Add this item to your cart and make a note during checkout as to which letters you would like and which bangle (if you are ordering multiple bangles). 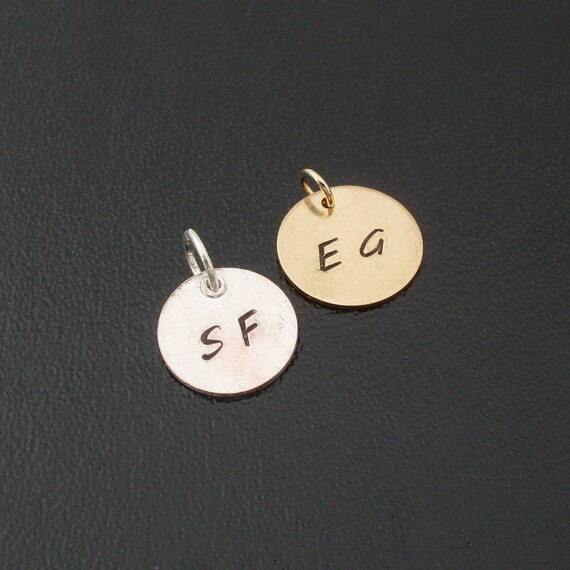 The size of these small monogram initial charms is 10mm on a 4mm jump ring. 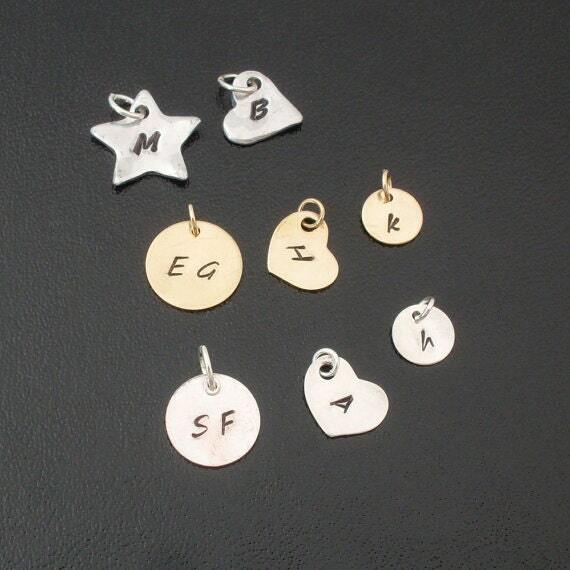 The 4th picture shows all other charms available in my shop to add to your bangle or necklace.